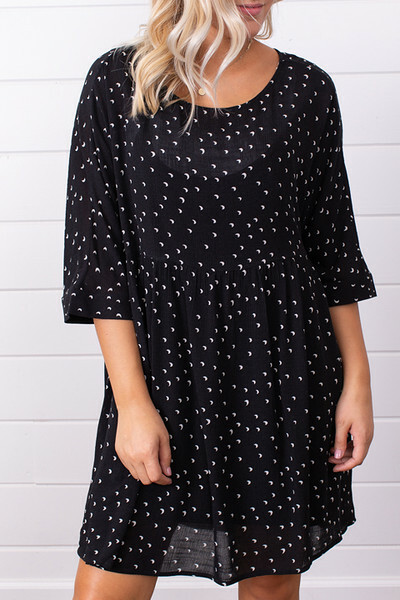 This darling Mars Dress by Knot Sisters is the cutest little black dress with an adorable moon pattern throughout. This light weight short sleeve dress features a drop waist with an adjustable black slip underneath. You can wear this dress with some of your favorite booties for a night out to dinner and can layer on a jacket for when it gets cold. 100% Viscose. Dry clean only.